The 2017-18 General Assembly may soon try to keep alive its unblemished record of overriding Gov. Roy Cooper’s vetoes. 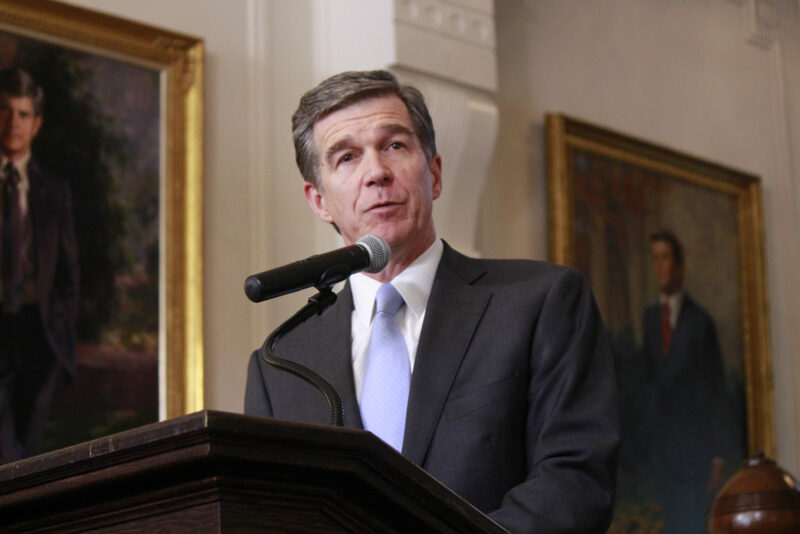 Cooper on Monday vetoed the 13th bill since he took office in January, nixing Senate Bill 656, an election-reform measure which would ease ballot access for minor parties and unaffiliated candidates and eliminate primary elections in judicial races for the 2018 election cycle. S.B. 656 passed both bodies of the General Assembly Oct. 5 by veto-proof margins — 30-16 in the Senate and 70-44 in the House. The provision ending judicial primaries during next year’s races was added during a House-Senate conference committee. Sen. Ralph Hise, R-Mitchell, said during floor debate the General Assembly may consider more dramatic changes in judicial elections by the end of the 2018 legislative session — perhaps enacting a retention election for incumbent judges. An earlier law enacting retention elections for Supreme Court justices was struck down last year by the state Court of Appeals, which ruled a constitutional amendment was needed for such a dramatic change. On appeal, the Supreme Court deadlocked 3-3, upholding the appellate court’s decision. Hise says the question whether a statute is sufficient for changing judicial elections remains unsettled. Monday, Cooper also signed Senate Bill 582, a “technical corrections” measure with a host of policy provisions. The main ones extend a taxpayer grant program for film production in the state and require the attorney general to litigate appeals rather than letting the district attorney in the jurisdiction where the case originally was tried handle appeals. In his signing message, Cooper said he opposed putting restraints on the attorney general but keeping the film subsidy alive was more important, so he signed the bill. Before Monday, lawmakers had overridden nine of the governor’s 12 vetoes. Two vetoed bills have not been taken up by the General Assembly a second time and another was recast as local legislation and passed separately. The General Assembly technically is in session until Oct. 17, but lawmakers may not return to Raleigh before January.